Even though they don’t have a Chicago date announced, it’s still dope to see some of the city’s finest showcase their talent across the nation. 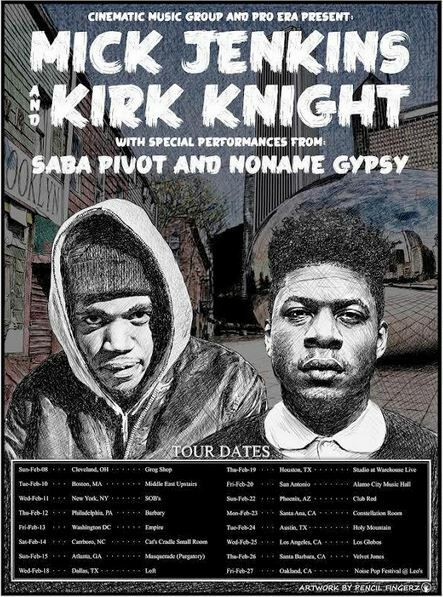 I’ve seen Saba twice and Mick once, any they both put on one hell of a show. Throw Noname Gypsy and Kirk Knight into the mix, and you’ve got yourself a classic hip hop showcase. Hit the link to see all of the cities and dates. 2/13 – Empire – Washington, D.C.